If you have trouble concentrating, coming up with ideas or thinking clearly, eating more of the brain-activity-enhancing foods in this book can help. Featured in this book are the key foods that have been proven to benefit brain functions: beetroot, brown rice, coffee, kidney beans, pecans and strawberries among other tasty ingredients. A clever problem-solver helps you choose the ingredients that bring benefits ranging from mental alertness, longer attention span and restful sleep to prevention of dementia. 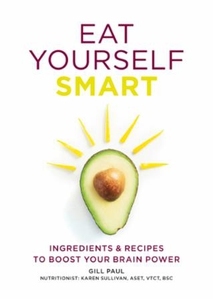 With over 60 easy-to-follow, quick-to-prepare, completely delicious recipes, and weekly meal planners, Eat Yourself Smart is the perfect way to cook yourself clever and achieve optimum health.